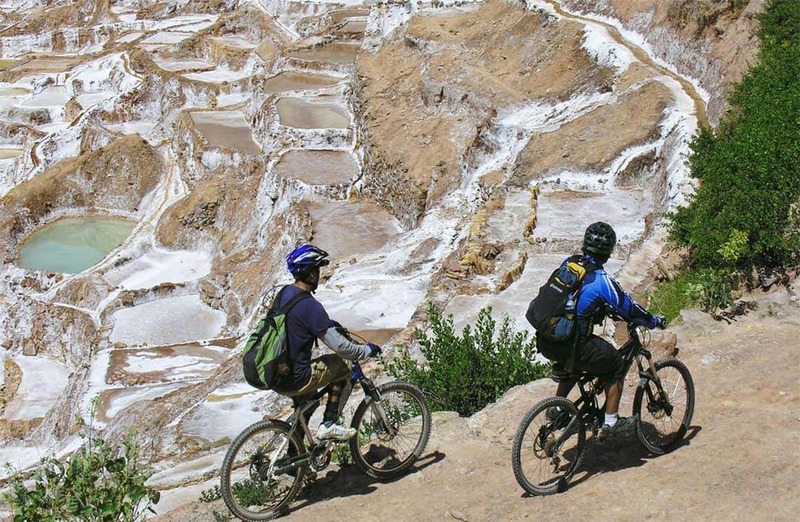 Moray and the nearby salt mines are two of the most visited sites near Cusco and can be explored in various ways. One exciting option is to rent a bike and take one of the scenic routes in the area. 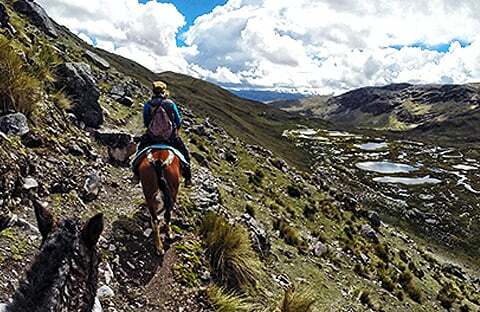 Our tour offers a mix of cross country and downhill biking through this picturesque landscape. 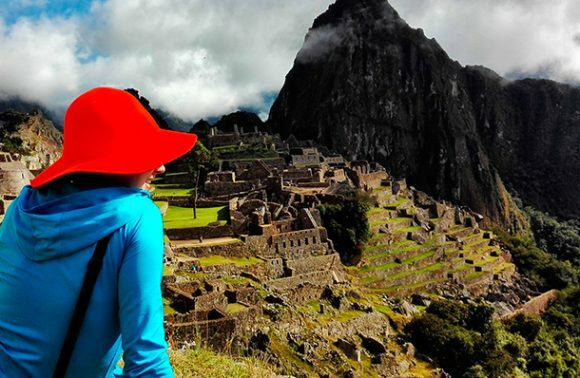 We will provide private transport to Chinchero, less than an hour’s drive from Cusco, a typical Andean town. 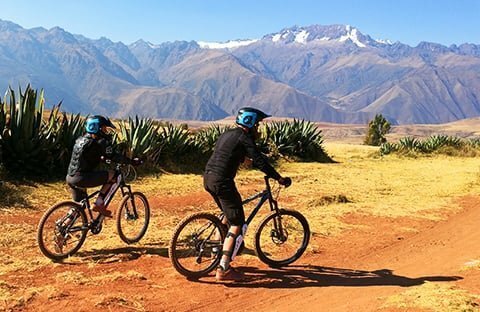 On bike, we’ll travel to Huaypo lake, located among the highland countryside, before descending toward Maras and Moray with its famous terraces of salt water pools.